Mostly agreed. It lags in the middle, when Lestat is off screen, but all in all, it’s solid. I remember going to see this and thought the acting was subpar and the story silly. Maybe I was in a bad mood that day. Sorry to hear you didn’t like it. When I first saw it years ago I wasn’t sure about it, but watching it now it is significantly better. This is how you make a real vampire movie not that Twilight crap that we have now. Thanks, totally agree with you on that statement. I agree with your review, I loved this film and the visuals were stunning. At the time there had been a lot of silliness in vampire films and this got the subject matter back on a serious note. Thanks for the comment, I did like how the film took a serious look at vampirism. 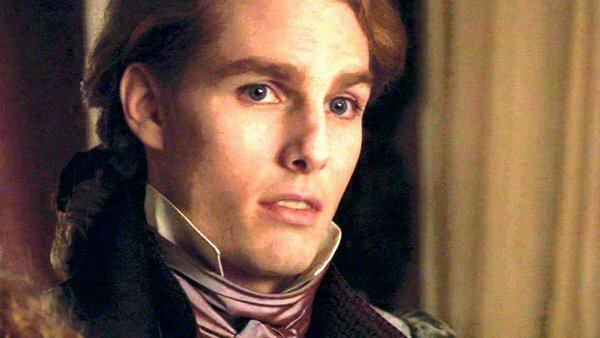 At first I was mad about Tom Cruise being selected as Lestat, but he vindicated himself. He didn’t feel like Tom Cruise in the film, he felt like Lestat – I never thought about it much but it could be one of his best acting roles because the actor disappeared and only the character remained. Thanks for the comment, hope you get round to watching it again in the future. Loved the book, thought the movie was lame though it tried hard. This was not Tom Cruise’s finest hour. Sorry to hear you didn’t enjoy it. All my love for vampires go back to this movie. Twilight did take away most of that love though. I actually liked this movie better than the book, and only by making a sequel to this that the vampire genre can be saved. It is underrated, and I felt the same with the 1997 movie Vampire Journals too, but it doesn’t come close to the Interview that is for sure. Thanks for the comment, it certainly is one of my favourite vampire movies. I’ve never seen this film. Another to add to the list I guess! Thanks, definitely add it to your list. Brilliant review. I watched this recently and I agree with the entirety of what you are saying. Thanks for your comment, glad you agree with what I wrote. Good work here Vinnie. I really don’t understand the criticism that this, and especially, Tom cruise gets. I thought the film was excellent and if was great to see Cruise play against type. I really need to see this again. It’s been too long. Thanks Mark. Yeah it is very underappreciated in my book. Great review, can’t believe I haven’t seen it! Especially since I love dark, gothic films. Thanks for the recommendation. If you’re a fan of dark and Gothic films, this is the film for you. Thanks for the nomination. And thanks for the positive comment, really appreciate it. The book by Anne Rice (one of my fav author s) was an amazing read and it did the movie justice I feel. It truly does show vampirism at it’s greatest period. Great review too. Thanks for the comment, I haven’t read the book but have heard good things about it. I have never tired of this film and have seen it many times. The whole cast was brilliant and the film stayed true to the book. And in the end, even Anne Rice loved it. Thanks for the comment, I loved the cast they assembled. 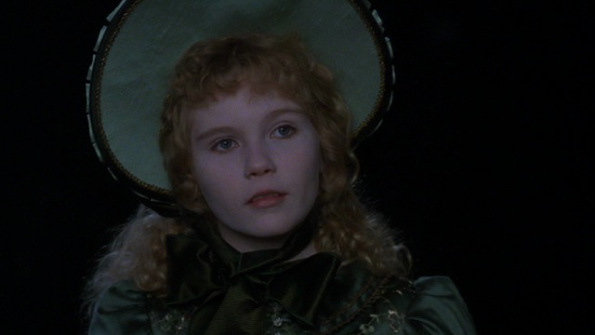 Especially a young Kirsten Dunst who delivered an amazing performance as Claudia. Nice! Thanks very much for the follow and the comments. I liked your review, though it maybe could use some topic headers between the paragraphs (and maybe some more breaks between paragraphs that have gotten as tall as they are wide). Other than that, good stuff! Thanks for the comment, I am considering changing the layout of my reviews, so thanks for the advice. Thanks for the comment, they really do have a lot of depth. I liked the way in which both Louis and Claudia’s feelings towards immortality change and how they come to resent Lestat. One of the films I’ve always meant to get around to. I’ve heard wonderful things about Dunst, whom I’m a big fan of. You definitely should watch it. Dunst is amazing in this and shows a startling amount of maturity for someone so young at the time of filming. Wonderful review! It’s one of my favorite novels and favorite films. Dunst is indeed amazing and I as a big fan of Cruise performance – he embodied Lestat even though it was a risky casting. Thanks for the comment Sati, Dunst was the biggest highlight of the film in terms of acting. I have never seen it. I’ve considered seeing it, but just never have. I think my general dislike of horror in the 90’s has kept me from wanting to see it. Thanks you should give it a try. I LOVE this movie !!! I still remember the brilliant orange, blue and green of the oubliette scene all these years later, and the blue veining in LeStat’s face for the closeups. Although Anne Rice didn’t originally want Tom Cruise for the part, I thought he was brilliant, and nothing like any character he’s played before or after. Thanks for bringing it back:0)! This film was indeed a visual cornucopia. It’s one of my favourite vampire movies. Cruise may have not been the first person I thought of for the role, but he delivered nonetheless. Cruise is an actor I rarely have doubts about. No matter the character he embodies it well, giving his all. Top reason why I fell in love with him. He is a very talented actor that is for sure and its good to see him still going strong.